The Spanish Vaquero used this bitless device as a positive training tool to preserve the mouth. Its use has become popular in the show ring. Are mules suitable for the hackamore? The word Hackamore comes from the Spanish word la jaquima meaning headstall. To some it simply means the bosal that is the rawhide piece that fits around the mule's nose. 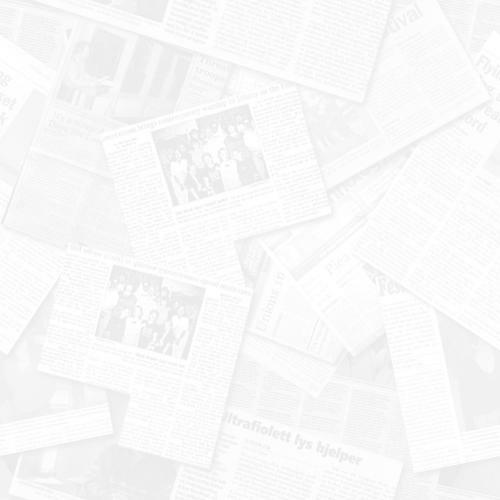 To others, it is used to refer to the bosal and the head­stall. To others, it means the entire fitting of head­stall, bosal, the mecate (the horse hair reins) and the fiador (a throat latch rope). Traditionally, it was made from available materials. It was easy to get on and off green horses that were being broke and was less likely to make one buck then a bit would. It was also easy to let the animal graze and it had a built in lead rope with which to tie him up with when necessary. 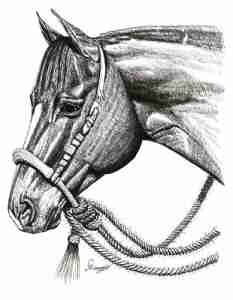 The bosal, coming from the Spanish word for muzzle, is a nosepiece of braided rawhide or leather with a rawhide core. It has a nosepiece, sides and comes together behind the mule's muzzle in a heel knot. They range from 5/16 inch (called a pen­cil hackamore) to 1 inch. The leather or raw­hide is braided to­gether, some­times with beveled edges and some­times left sharp. This rough­ness, with the stiffness and size de­termines the severity of the bosal. Good bosals are finely braided over the section that comes in contact with the nose. As they progress back over the sides and to the heel knot, the braiding gets larger. The heel knot is the portion where all the braiding leather ties into a bulb. This heel knot's weight acts as counter balance to the weight of the nosepiece. The mecate is a twentytwo foot long rein made of horse hair. It is wrapped around the bosal to make a approximately a ten foot looped rein and a twelve foot lead rope. While riding, the lead rope is tied around the saddle horn. Mane hair makes the softest mecate and tail hair the coarsest. Some are a com­bination of both. The mecate's coarseness against the mule's neck makes him move away from it as it is laid on the neck. The fiador is a throatlatch device made either of horse hair or cord. It keeps the headstall from interfering with the mule's eyes as the reins are pulled. It also holds the bosal in place. Many riders opt not to use the fiador. Nevertheless, in the tradi­tional hackamore it is always used. The bosal generally rests about an inch above a horse's mouth curve when there is no tension on the reins and it is allowed to hang from the headstall. It should lay across the mule's nose about four finger widths above the nostrils. If the bosal is too high, you will give up wraps on the mecate and counterbalance weight on the knot or you would be skinning up the mule's face and giving him no release and reward. If the bosal is too low, you lose some control. However, since mules have longer heads, it may take some experi­me­nting as to where the most sensitive position would be. It may be different for each mule as they vary dramatically in head conformation. A properly adjusted hackamore allows you to place two fingers between the bosal and the mule's jawbone. You adjust this by either adding a few wraps to the mecate or taking a few out. By increasing the number of knots you are making a tighter fit; fewer knots loosens the bosal. You do not want the bosal too tight, though, as this will not give the mule release from pres­sure and he'll start throwing his head. The bosal should rest on the bridge of the mule's nose. It should not touch the checks or the jaw and should not touch the mule's chin. It should fit comfortably and loosely, but be adjusted so that when engaged it sends the desired message. When the reins are pulled, the bosal bends halfway back on the mule's jaw. It doesn't come this far back, the bosal is adjusted too tight. A bosal that swings back farther is too loose. The Hackamore is used with two hands just like a snaffle bit. You use direct rein (plow reining or squaw rein) with it. When the reins are pulled, the heel knot is lifted, sliding the bosal down the nose. The sides slide up along the chine bones. The rough wraps of the mecate above the heel knot eventually come in contact with the underneath part of the jaw. Pulling it too wide will twist the bosal. So it is best to pull directly back with the hands low. It also advisable to use light pulls and releases in using the hackamore. A steady pull just desensitizes the nose. The communication results from slacking the reins between pulls. As the mule feels the knot come in contact with his jaw, he learns to give his head to release the pressure. He tries to keep the roughness off the sensitive jaw area by giving his head and doing what you ask of him. He'll tuck his head. He'll remain light and responsive as a result of pulling and slacking. But, don't let these areas get raw and sore, or he will fight you. Pulling too hard and steady on the rein, you will accomplish just the opposite of what you are trying to do. Too hard a pull will raise the head as the mule pulls back to get away from the pressure. Lightness in the face is the hallmark of true Hackamore animal. The mule must be light to get the maximum communication from the rider=s hands through the mecate to the bosal. The theory of the vaquero was simply to teach everything to the young colt turn, slide, stop in the hackamore. When he is able to do everything with balance and lightness in the face, he is ready to be put into the bridle and will have a brandnew mouth at the same time. It was the believe of the vaquero that the way a colt is started is very important. The method gradually improves the colt until he has is completely broke in the hackamore. A bad start means valuable time lost. They believed in doing it right the first time. Actually, you should use the hackamore if and when you are fortunate enough to come into the company of someone who is truly a hackamore reinsman. If you are fortunate enough to make the acquaintance of such an individual, learn all you can and consider yourself fortunate. The Hackamore is a progressive training tool and does not work without prerequisite lessons in the basics. Unless you are a very good hand and a true Hacka­more reinsman, which most of us are not, it is best to use it after the basics have been taught with the snaffle bit. The mule should be familiar with leg and rein cues and be giving freely to the bit before he is asked to work in the hackamore. Lateral movement and supple­ness can be established with the snaffle before the mule has to worry about the bosal. The snaffle is the best bit for doubling a green animal should he bolt and run away. The hackamore has no stop at first. So it is best to establish some lessons with the control of the snaffle first. If the mule is not light and responsive before the hackamore is used, he will learn to pull and not obey later on. So having all the basics covered before asking the mule to work in the hackamore is best. Mules tend to be pullers anyway and it is best not to give them the opportunity to learn to pull in the first place. But once the basics are there with the mule responding to leg, seat and weight cues, the mule can be put into a hackamore. Review the basics you taught with the snaffle and establish the control with the hackamore with light pulls and releases. Building confidence in the mule and teaching the lessons thor­oughly will make him trustworthy in the hacka­more. The biggest disadvantage of the Hackamore is the fact that the art of using it correctly is the knowledge of a very few. Finding a true Hackamore reinsman is difficult. However, for those of us who are not proficient in its use, we still can enjoy some of its allure if we remember some of its shortcomings. The Hackamore is a poor stopper in the beginning, so teach this in the snaffle and establish it before putting the mule into the hackamore. It's not safe on a green mule who might have the tendency to run away. Run­aways require doubling, and that is best accomplished with a snaffle unless you are a very good rider. It is only a fair device to teach backing and neck reining. Since it does not work well with a steady pull, it is not the best equipment to teach the mule to stay at a steady speed. It takes some initial train­ing before it can be used on the mule and it takes a lot of time and patience to teach the mule to work in it. Some mules who have already been harshly bitted or had the chain used severely on the nose may not be good candidates for Hac­ka­more training. It is best to use on a mule trained to be light and responsive with a great deal of time spent on the basics in the snaffle. It is not for every mule, especially those who have the tendency to runaway with their rider. Of course, if you are in a hurry and want quick fixes, you will find the Hackamore not to your liking. It requires the trainer to be slow and accurate in training. To some this may seem as a disadvantage, but to the mule it is the best thing that can happen in the breaking process. The hackamore is a good device to teach the mule to keep his head and neck down and stay on the vertical. If used with the pull and slack method, it does teach him to be light and natural in his way of going. It en­courages natural balance with good deep hock engagement because it teaches the mule to collect and move in frame correctly. This results in smoothness, relaxation and quietness. Teaching the mule to move in balance creates a mule with great self assurance in executing maneuvers. R­esp­onse to the bosal can be taught to be quick and light which is what you want in the bridle mule later. It also causes the mule to tilt his head slightly to the center of the circle. In addition, the hackamore can be used also to avoid mouth problems while a young mule is shedding teeth. Very importantly, it can be used to give the mule's mouth and mind mature. Teach the mule to have a good whoa before beginning in the hackamore. Be careful to use pull and release on the reins. Just one session of "pulling" can undo all the work you just established. It takes a good seat and good balance to use a hackamore. The rider doesn't want to ever balance himself on the reins of a hackamore or he will set up constant pulling. If you are trail riding with your hackamore, be sure to use the fiador. Without the throatlatch, the headstall can easily be pulled off when leading or tying up the mule. Can a Mule be a Hackamore Horse? The Hackamore has developed over the years from a Spanish training tool introduced in California in the 1770's to a fad piece of equipment in horse shows during the 1990's. Still, not every horse, let alone every mule, can be a hackamore prospect. Generally, the more refined the head and facial structure will respond better to the hackamore. A mule who is light and a pretty mover generally will be light enough for the bosal. 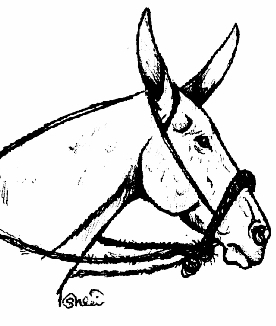 Some mules are too strong and unresponsive to go in a hackamore. They need more control. These mules will not respect the bosal and run through it every chance they get. If the mule is heavy on the bit and been taught to pull by rough hands, he probably is a very poor candidate for the hackamore. This type of mule has learned to take control and not be light and giving. It would take a lot of time to reform this mule and put him working well in a hackamore. Not all horses are suited to the hackamore and not all mules are suited to it either. The most important part of the equation, however, is whether the rider is suited to the hack­amore. If the rider is patient and willing to invest the time to train in the bosal, the mule can't help but benefit from such training. If the rider does not have the temperament to go slowly and carefully or to have quiet hands, then the bosal will only teach evasion and pulling to the mule. But for those willing to make the investment in time and energy, there's nothing like the partnership between the rider and the mule going in a hackamore!